Based in the year 2019, Robotics;Notes follows the story of Kaito Yashio and Akiho Senomiya who are the sole members of the Central Tanegashima High School Robotics Club. Akiho is determined to live up to the expectations of her older sister by finishing the large-scale robot her sister started back before she graduated from the school after founding the original robotics club. 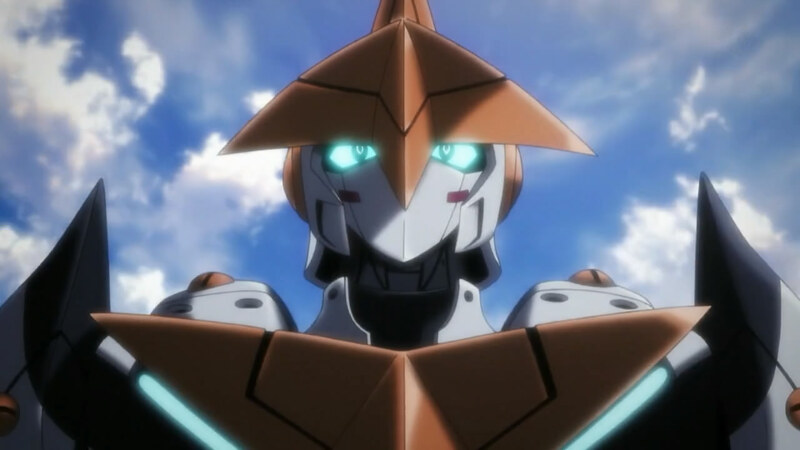 While Akiho seeks funding to continue her project, Kaito spends his days hanging round the club hanger, not helping in the development of Akiho's robot, but playing a popular mech fighting game, Kill-Ballad, which is based on the fictional anime, Gunvarrel. The fictional show itself serves as inspiration for Akiho, going so far as to codename her project, Gunbird-1 - a robot from the anime. 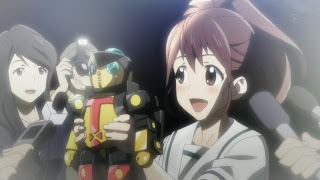 While the robot looks very little like the real Gunbird-1, Akiho finds encouragement from the relucant Kaito's unexpected and heartfelt support, as well as that of her other friends who over time join the club to help finish the project in their own unique way. Her work is not without merit, which is soon recognised by the company behind the fictional lollies, Space Candy, run by a man who will come to coin the most catchy saying of the entire show: Impact! You only have to take notice of anime forums around the world to see that this word is on the tip of every robotics fan's tongue. 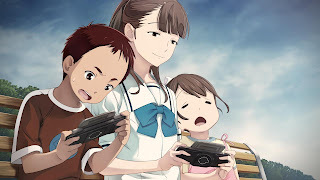 Robotics;Notes is the third anime to be adapted from the series of visual novels produced by 5pb Inc, and follows in the wake of the smash hit 2011 anime sensation, Steins;Gate. While not quite living up to the success of its predecessor, the anime has shown itself to be a much deeper story than previously expected. With its foreboding of apocalyptic disaster, we can surmise that what starts as a simple school robotics club might well be the only thing standing between the Earth and certain annihilation. 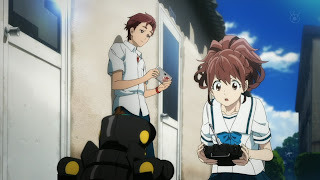 Robotics;Notes is full of humour and lovingly crafted golden moments which you would come to expect in what we thought was going to be a slice of life anime, but it has a serious side that is slowly creeping in from the background, directed by the artificial intelligence program, Airi, who reveals herself to Kaito, along with a secret NASA doesn't want the world to know. 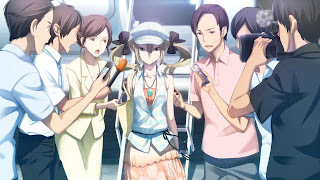 It doesn't seem surprising at all that an anime skirting around the possibility of a worldwide apocalypse would show its face in a year that is already full of doomsday, end of the world, predictions. 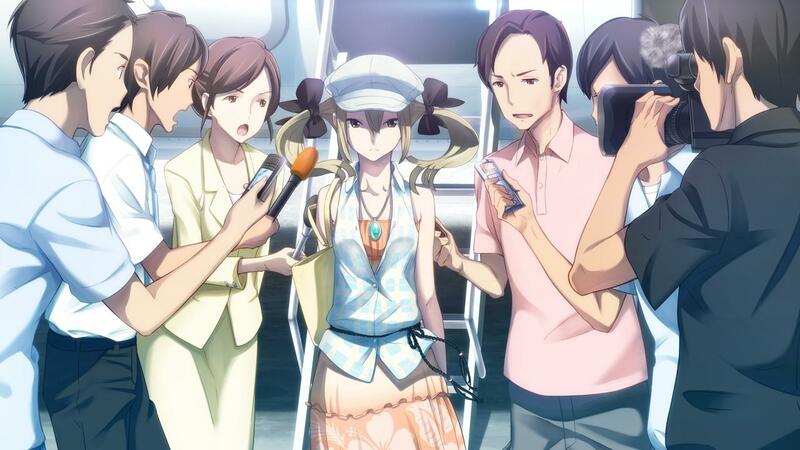 I have quite enjoyed the show so far, although I liked Steins;Gate better, but I am sure we are going to be in for a real treat as the story leaves behind character introductions and humour in favour of the real meat of the story.